Welcome to our Website! 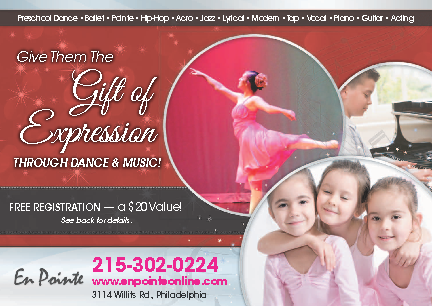 Here at En Pointe we teach more than just classes, we give students the skills they need to enjoy the arts for a lifetime. We provide training in all formal dance styles with many performance opportunties throughout the year. 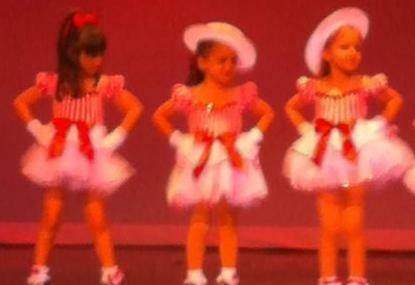 Stop in or call the studio to see why hundreds of families have choosen us for their Dance education. University Trained Instructors - Highly qualified teachers with varied training and teaching methods are available to teach a broad range of dance techniques. Our Facility - The studio is equipped Professional Floating “Marley” Dance Floor- this helps reduce the risk of injuries and allow students to dance longer without getting tired and Mirrors that start at floor level so that dancers can see their feet from any place on the dance floor. Parent Friendly Viewing - parents are always welcome to stay and watch their children's progress. Small Class Sizes – Maximum amout of students is 15 per class. For our smallest students, ages 2.5-5 each instructor has assistants to ensure the class runs smoothly. Many Performance Opportunities - Students perform in our annual recital and have the option to participate in our annual production of the Nutcracker and Spring Ballet as well as festivals, sporting events, community events and theme parks or on our award winning competition team!